LAS VEGAS (AP) — Billionaire Kirk Kerkorian, an eighth-grade dropout who built Las Vegas' biggest hotels, tried to take over Chrysler and bought and sold MGM at a profit three times, has died. He was 98. He died Monday night in Beverly Hills. The reserved, unpretentious Kerkorian spent much of his life trying to stay out of the spotlight and rarely gave interviews. He called himself a "small-town boy who got lucky." He shunned glitzy Hollywood parties and movie premieres in favor of making deals. Rather than arrive at an event by limousine, he often drove himself in a Mercury station wagon. "He was a very private guy who shunned the limelight, both in a business way and from a charitable standpoint," said Patty Glaser, his attorney of four decades. After making his first fortune ferrying gamblers to Las Vegas with Trans International Airlines, he built the 30-story, 1,568-room International Hotel, the world's largest hotel when it opened in the late 1960s. He brought Elvis Presley to perform there in 1969 as the rock legend relaunched his live performance career. Although medium-size by today's Sin City standards, the hotel, now the Westgate Las Vegas, represented a major risk when most properties averaged 250 rooms. "I had total confidence or I wouldn't have gone into the project," Kerkorian later said. "I've always been bullish on Las Vegas." When Kerkorian opened the first MGM Grand in Las Vegas in the 1970s, it was again the world's largest hotel, containing more than 2,000 rooms and a 1,200-seat showroom. Years later, he would build another MGM Grand, this one with more than 5,000 rooms — again, the world's largest. "He built the rooms and attractions to bring an incredibly broad base of affluent people to Las Vegas," Hal Rothman, a history professor at the University of Nevada, Las Vegas, once said. Elsewhere, Kerkorian bought and sold the Metro-Goldwyn-Mayer film studio three times, each time realizing a profit on his investment. He also invested heavily in the auto industry and made unsuccessful attempts to take over Chrysler. "Regardless of what people think, there was no great master plan," Kerkorian once said. "Every year was a big year for me. First I was simply trying to earn enough to get something to eat, then enough to buy a car." Sen. Harry Reid said on the Senate floor Tuesday that "when history books are written, they'll say a lot about this good man." He was born Kerkor Kerkorian in Fresno, California, in 1917, one of four children of a poor Armenian fruit grower. During his brief boxing career, he became Pacific amateur welterweight champion. But he lacked the size to turn pro, so he went into business. During World War II, he worked for the RAF Air Transport Command in Canada, flying Mosquito bombers on dangerous delivery runs from Canada to Scotland. After the war, he refurbished a small twin-engine plane and flew passengers between Southern California and the growing desert gambling mecca of Las Vegas. In 1947, Kerkorian bought a tiny charter line and renamed it Trans International Airlines. Nearly two decades later, he took TIA public and the stock soared. With cash from his stock and shrewd land deals along the Strip, he built the International Hotel. Kerkorian also bought stock in financially ailing MGM. By 1970, he had working control of the company and began a more than 30-year run of deals involving the historic studio. In 2004, he agreed to sell the studio and its lucrative library of post-1986 films to Sony Corp., Comcast and other investors for about $3 billion. In 1985, he sold the first MGM Grand to Bally Corp. for $594 million, while retaining rights to the name. Around that time, he also unloaded the MGM studio to cable TV mogul Ted Turner for a reported $1.5 billion. Turner sold it back just three months later for $300 million amid financial trouble but kept the library of pre-1986 MGM films, including "Gone With the Wind." 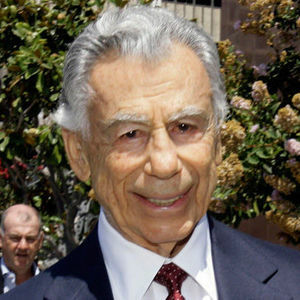 Kerkorian later sold the studio for $1.3 billion, then bought it back in 1996 for the same amount. In Las Vegas, he opened the 5,005-room MGM Grand Hotel and Casino and went on to orchestrate the $6.4 billion merger between MGM Grand and Steve Wynn's Mirage Resorts Inc. In 2005, the renamed MGM Mirage Inc. completed its $4.8 billion acquisition of Mandalay Resort Group. The combined company's holdings included the Bellagio, MGM Grand, Mandalay Bay Resort, Excalibur and seven nearby hotels. Kerkorian set his sights on the auto industry in 1995, trying to seize control of Chrysler Corp. in a failed $23 billion hostile bid. It failed, but Kerkorian's Beverly Hills-based Tracinda Corp. became Chrysler's largest shareholder. Kerkorian made another bid for Chrysler in 2007 when DaimlerChrysler put the struggling division on the market, offering $4.5 billion. But Chrysler sold to private equity firm for $7.4 billion. He also gave back, forming The Lincy Foundation at UNLV in 1989 to support Armenian causes. After shutting down in 2011, his assets went to The Dream Fund at the University of California, Los Angeles, that supports research and charitable projects. Kerkorian married three times. He and his second wife had two daughters, Tracy and Linda. Add your thoughts, prayers or a condolence to Kirk's guestbook.